By Eric Abrahamsen, published April 27, 2008, 2:02a.m. I’ve been doing some background reading on the Duanlie (断裂, ‘Broken’ or ‘Split’) literary movement, something Zhu Wen instigated in 1998. It was an important, if low-profile, attempt to voice dissatisfaction with the literary establishment (academia, the Writers Association, the literary journals), and to remind authors that they were not alone in their frustrations. Over the course of several years and a series of Duanlie publications (put out by the Shaanxi Normal University Press), the movement did much to foster independence and diversity among the newer generations of Chinese writers. Duanlie started as a list of questions which Zhu Wen, Han Dong and a few others mailed around to 70 Chinese writers, 55 of whom responded. They were leading questions, questions meant to snap writers out of their diffidence and goad them into defiance, a call for a vote of no-confidence in modern Chinese literature. Through the good graces of Lü Zheng I was able to get my hands on a copy of a book called Duanlie, published in 2000, which contains a series of interviews with the authors most closely associated with the movement: Wei Hui, Chen Wei (one of the writers responsible for the Heilan website), Huang Fan, Gu Qian, Li Xiaoshan, Wu Chen, Zhao Gang, Liu Ligan, Zhu Zhu, Lu Yang, Chu Chen, Han Dong and Zhu Wen. The book also contains the thirteen original questions, which I’ll translate below. I’m leaving the answers out: there are many, and they are predictable. Do you feel that any modern Chinese author has exerted or is now exerting an undeniable influence on you? Among the writers active during the 50s, 60s, 70s and 80s, are there any who have given you fundamental guidance? 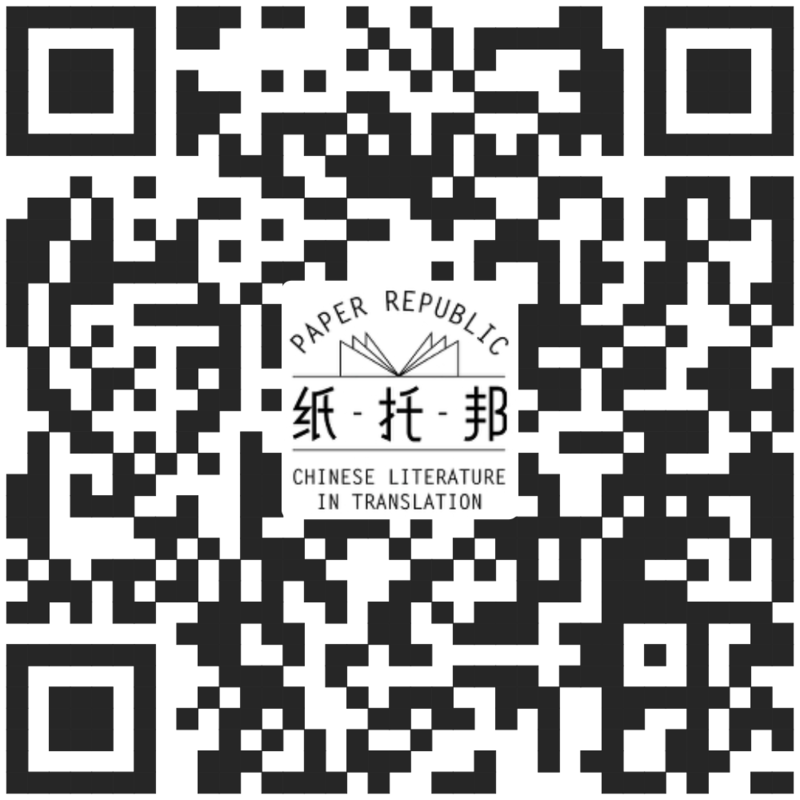 Has modern Chinese literary criticism had any serious significance for you? Do you feel that modern literary critics have the right, or sufficient talent, to provide guidance to your writing? Has research on modern and contemporary literature in academia had any influence on you? Do you believe that, with regard to the current state of Chinese letters, this research is viable as an independent discipline? Do you attach importance to Sinologists’ appraisal of your work? Are their viewpoints important? Do you believe that writers such as Chen Yinge, Gu Zhun, Haizi or Wang Xiaobo ought to be enshrined as our new idols? Have their books influenced your writing? Have you read the books of Heidegger, Roland Barthes, Foucault, or any writers of the Frankfurt School? Have their thoughts or theories had an authoritative influence on your writing? Are they necessary to the current progress of Chinese literature? Do you accept Lu Xun as the paragon of a writer? Do you believe that, as an authoritative thinker, Lu Xun can provide any guidance to modern Chinese literature? Do you accept any religious doctrine, such as Christianity, Islam or Buddhism, as an ultimate ideal, or a guiderule for your writing? Do you believe that organizations or bodies such as the Writers Association provide any practical assistance to your writing? What is your assessment of the Writers Association? What is your assessment of the literary taste of magazines such as Dushu and Shouhuo, and the points of view which they espouse? Do you believe that literary journals such as Fiction Monthly and Fiction Journal can truly represent the current state of Chinese literature and its advancement? Do you accept as authoritative prizes such as the Mao Dun Literary Prize or the Lu Xun Literary Prize? Don’t you think someone dressed all in green looks just like a cabbage worm? For the most part, the answers are short, bitter, sarcastic and negative – the writers were clearly happy to vent. Question number five, about influential Chinese writers of the 90s, was a little more ambiguous: most respondents claimed no influence, but the fact is those writers – Haizi and Wang Xiaobo in particular – were very important to the scene, and you can see fondness amid the declarations of independence. Sounds like a really good survey, and I would love to know more about this. Has anything been done with this information(publishing or otherwise) yet? Hannah, November 26, 2011, 4:42a.m. Hannah, November 26, 2011, 4:43a.m.